I am so happy I can't believe it. After nearly 20 years I own another VW pickup. I had one of these truck roughly 20 years ago and I absolutely loved it. Unfortunately it was caught in a flood all the way past the windows. I let it dry out and it actually started right up, but when I drove it the transmission exploded. So that was the end of that truck. Well that all changed yesteday, I am the new owner of a 1980 baby blue and rusy colored caddy. This car is amazingly solid. It has a great deal of surface rust which the owner cleared over for a rat rod look. I can't wait to get into this thing. I drove it and it seems to run decent but the battery is bad. (I will replace it today) My plans are to get it running really well and then move on to cosmetics. I have so many questions I do not know where to even start. My old truck I believe had a 1.8l that was converted to carberation. That thing ran like a top never had a engine problem. What would you guys suggest doing with this truck? I see people are swapping VR6 engines 1.8 and 2.0 turbos etc. This sounds awesome but I was thinking more about the fact that I want this truck to be driveable and reliable. What engines would you recommend for more performance but still keeping it very reliable and driveable AND without spending a fortune. I would need to have a shop do it. I do not have the skills or the time for learn and do this myself. What about wheels it has the stock rims hubcaps on there. What size wheels will fit well look good and not rub fenders? Lowering???? Any recomendations here? I know I could do lowering springs in the front but what about the back? Airbags Anyone????? I have never had a air bagged car what is that experience all about? I am only guessing the 1.6 is 60-70 HP so I think somewhere around 120-150 HP would seem amazing in such a light car. Opinions what would you guys do if it were your car / truck? WHat about Interior upgrades? THe interior is in OK shape baby blue seats cracked dash "custom" blanket headliner. As far as engine swaps, ask 10 people and you will get 10 different answers. I'd suggest a simple ABA or 16v. Either should be a relatively simple swap. Maybe ask the shop doing the swap if they have anything laying around for cheap. These engines are cheap, cheap, cheap and easily sourced. BUT, if the current engine runs good just keep it and enjoy the slower pace of life that 60-70 hp brings. Why change a great thing? You had fond memories of your old ride and it doesn't sound like it had 150 hp. So why should this one need 150hp to be happy with it? Regardless, enjoy your new purchase. You're right I don't need 150hp. 100 would be nice though. I don't need a speed deamon. Just something fun and reliable . You may not need 150hp, heck you do not need a Caddy. You want 150hp, heck 200hp would make you even happier. A simple large valve high compression 1.8V is a start. Simple easy to install. Lots around. Get a 5 speed too. If you drive on the freeway, I would not get a close ratio version. But that is just me. 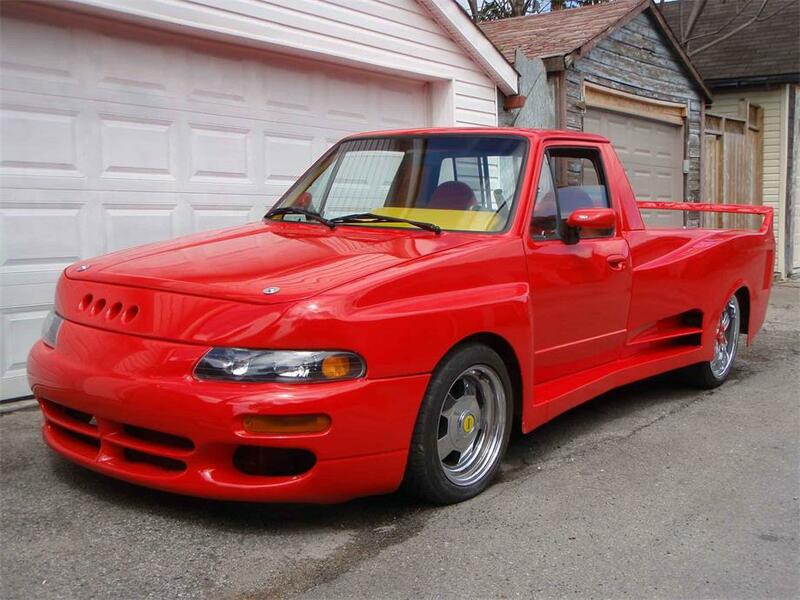 my advice, put a honda engine in it and cut off the bed and weld a toyota bed on the back. although i have an ABA/JH =110hp sitting on the shelf. 1980 would have a 1.5L or 1.6L CIS, carb for some areas, canada, etc. Funfact: someone mentioned GAS trucks are more rare than DIESEL trucks. production numbers show there were more diesel models produced. Last edited by rabbitnothopper; 03-29-2019 at 03:02 PM. I know there are lots of opinions on swapping motors which ones to use or to not do it at all. I found a VR6 engine and a guy that says he has done this swap before. Question is there any reason NOT to do a VR6 conversion? What is it like driving a VR6 Caddy? Is it drivable for daily driving or just a beast? VR6 any reason not to do this swap? Hello all, I meant to reply to the whole thread but replied to an individual. Is it drivable for daily driving or just a beast and loads of problems. you should be fine with a VR6 if done correctly. It's not plug-and-play. None of the swaps will be, but dropping in a 1.8 JH/5 speed will only need minor bits like the upper radiator hose and the shift linkage, that's the biggest bang for the buck for swaps IMO, but even then I would consider that only if the current engine is toast. Really the best path is to get it running properly as-is and then have these discussions. Well I just got the caddy registered so now I can drive it legally, First trip was to the gas station. filled my tank (which is an aftermarket cylinder located in the bed) with some 93 octane. The truck seems to be running OK for a 40 year old vehicle. Brakes are soft and it runs a bit rough when first started. Also it is Loud pretty damn loud. Not sure what kind of exhaust they rigged up for this thing.. It was mentioned get it running well as is first before any upgrades and after driving it a little. I think that is the plan. Eventually maybe a Vr6 or 1.8T conversion, but for now it is cool just to have it. I noticed the bottom pully (crankshaft pully??? sorry very much a novice) is shaking. Does not look or sound good. Is this something I can replace? Or is that a job for a mechanic? Brakes are Soft, Should I just bleed them and see what happens or replace mastercyclinder pads etc? First gear is hard to find, Could that be just the shifter bushings, I know that was a common replacement part in my 84 GTI I used to own. Thanks for all the help. It's amazing how this little truck puts a smile on your face when driving it, Even in the condition it is in now. Nice pickup (in both senses of the word). I am going to echo some of the others and advise you to be cautious of getting too far ahead of yourself on what you want to do with it. It can become overwhelming quickly especially if your budget and time is limited. Best thing I found that works for me, is to get a build notebook and write down your vision of where you want to see your truck in the future. Thoroughly inspect your truck and write down what you see. Make a list of the things that need fixing or replacing or parts that need to be acquired. Try to organize your list into short term/long term and what makes sense to do first - like you want to get the truck's safety stuff (e.g. braking system) and mechanical issues done first before you worry about cosmetics. Try to get at least one thing on the list done before jumping into the next. You can always update and edit your build notebook if your ideas change (I found that it keeps me motivated too because I keep looking at what I need to do next). It's also a great way to document your work in case you forget something or even sell it in the future. This forum has several build threads to pull ideas and notes from. If you haven't read most of them, I would. I learned quite a bit looking at other folks ideas and issues they came across. It's always a good idea to change the fluids, filters, brake pads, etc.. and do general maintenance like bleeding the brakes. If bushings look bad and it's not too much trouble to replace them, don't be afraid to just replace them. You may just take it apart and find it doesn't need replacing, but at least you'll know. I don't know where you're located, but local car clubs can be a great source of information and knowledge that could save you time and money rather than going to a costly mechanic every time. i am going to echo some of the others and advise you to be cautious of getting too far ahead of yourself on what you want to do with it. It can become overwhelming quickly especially if your budget and time is limited. Best thing I found that works for me, is to get a build notebook and write down your vision of where you want to see your truck in the future. Thoroughly inspect your truck and write down what you see. Make a list of the things that need fixing or replacing or parts that need to be acquired. Try to organize your list into short term/long term and what makes sense to do first - like you want to get the truck's safety stuff (e.g. braking system) and mechanical issues done first before you worry about cosmetics. Try to get at least one thing on the list done before jumping into the next. You can always update and edit your build notebook if your ideas change (I found that it keeps me motivated too because I keep looking at what I need to do next). It's also a great way to document your work in case you forget something or even sell it in the future. This forum has several build threads to pull ideas and notes from. If you haven't read most of them, I would. I learned quite a bit looking at other folks ideas and issues they came across. Still So happy but slowing not getting ahead of myself. I just wanted to say thanks again for all the advice. I definitely was getting ahead of myself just from all the excitement of finding this truck. I will do the notebook suggestion and make priority lists. I am also thankful for all the knowledge I have found here searching the forums. After putting in fresh gas the engine actually seems to run pretty well. Maybe some fuel injector cleaner would not hurt???? The sloppy shifter I foudn excellent info here about what to look for and I am going to replace the bushings first sounds super easy and cheap. Electric Fan not working, I jumpered it and it came on so, I will replace the switch in the radiator. Crankshaft pully wobbling. How hard is this to replace? Thanks guys I'll be asking questions for a while some day I'll be able to help others. I am also excited that I can actually work on this car, It is not as intimidating as a newer or larger vehicle. It does have AC but there currently is not a belt running it. The compressor is there just doing nothing. So it sounds like another easy fix. Excited to see what you do with this, wish I had a 1980. Whatever you do please never change the front end/headlights (besides removing the tape if PO left it on of course). Never change the front or headlights? Hmm, I was wondering why not? I like the round headlights. but sounds like it is kind of expensive to convert from what I see on the forum new fenders etc. There's always going to be folks who prefer squares over rounds and vice versa. I have rounds on mine, but I also did that conversion 20+ years ago. The conversion isn't expensive unless you pay someone else to do it. It's a matter of cutting out and welding in a new core support. you don't need to change the fenders as they don't have the turn signal cutout like the 81-83), but personally I would leave the squares and focus on the overall condition of the truck. You have a good base to start from. I'm not sure what your budget is, but if you want to keep it on the lower end I would do as Butcher suggested and find a nice 1.8L GTI motor with a taller geared 5 speed. They are reliable and it's an easy install. If you want something a bit newer with some more HP, then a 16v or an ABA should suite just fine. VR6 conversions can get pricey, but if your budget is on the higher end and if you plan on keeping it for another 20 years like I'm going to with mine, then go for it and do what you like. It's your truck. One thing I would consider is the value of what you put into the truck vs. the value of the truck itself. I've seen a lot of folks dump a **** ton of money into their cars only for it to be worth a fraction of what they spent. With the exception of things like wheels and tires or other simple bolt on mods that you can take off and return to original, Over-customizing can devalue a car really quickly. Trends come and go and some customizations can fall out of trend really fast further devaluing the car or what's cool to you is definitely not cool to someone else. Original or as close to original will always keep it's value because most people feel comfortable knowing that what came from the factory is a known versus what someone did during the customization or that whatever trendy customization won't have to be removed/changed. Plus, Original parts are also getting rarer and rarer. That goes for you if you keep the caddy too. You do something on a whim and start cutting up the car only to regret it 5-10 years later because you don't like it anymore or that trend lost its appeal. This is an extreme example. The people who know this builder say he did awesome work, but the end result was less than to be desired by many and this caddy is nowhere near worth the time and money that went into it. I honestly don't see the seller getting $20k for this and I would be interested to see who buys this and the final price. If that doesn't bother you, then I say again. GO FOR IT and make it yours! tune up parts were recently done and I have receipts for rotor cap wires plugs waterpump. I replaced the battery too. I don't think I am too far from the truck running well enough in it's current form. Dash and suggestions on fixing or replacement options? It's all cracked up. I am do not like there is no tachometer in this cluster. Lowering and air bags, (what are your thoughts on this???? ) I have never had a car with air suspension. Engine swap Maybe someday, I am surprised how the 60-70 HP does not bother me. I'm just happy to own the caddy. I changed my dash to a later model dash because I wanted to go the GTI route, but a lot of people really like the early dashboards (myself included). if you want to keep it correct for the year of manufacture, then I would recommend finding an good replacement early dash with the dual gauge cluster and replacing the clock with a Scirocco tach. Here's a link to an old forum thread about it. lowering can be done fairly easily with strut/lowering springs or coilovers in the front and drop plates in the rear. Otherwise, Airbags typically require some modifications, including installing the compressor and reservoir, but I've seen some really nice airbag setups. Just time and money. Last edited by veedubman72; 04-08-2019 at 01:42 PM.